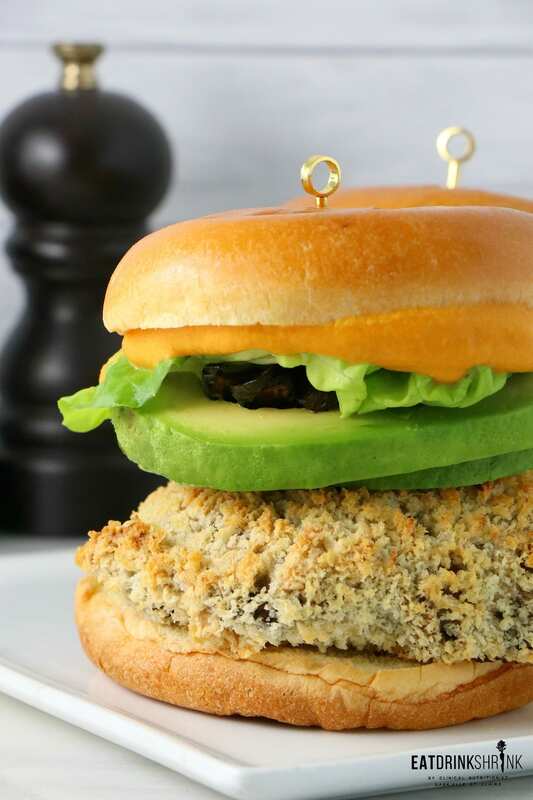 Vegan Beer Battered Mushroom Burger - Eat. Drink. Shrink. I’ve never been a “beer person”, but I ironically love foods with a hint of beer! From beer cheese to beer cheese soup and even beer batters..
it makes for a fun recipe that keeps your tastebuds on their toes! This recipe came to life while going through my latest beer phase the other month and sadly got left behind! The warm weather hit and I had so many other recipes I rolled that I kept forgetting to share it, but it’s oh so good! What’s fab about this recipe is, everything! It’s baked not fried, you can enjoy it sans beer cheese if you’re working with less time and just switch up the toppings, it’s quick, easy, each component can be used in other dishes, crispy, involves staple ingredients, perf for every season, and non vegan approved! 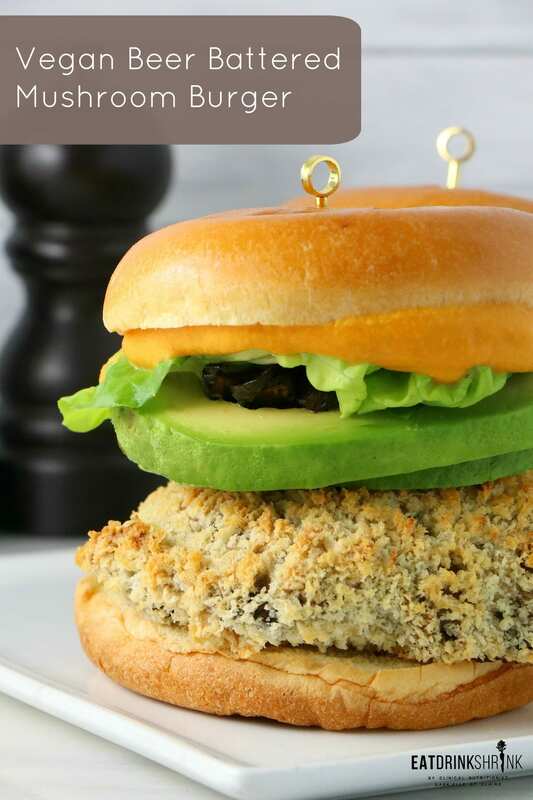 If you’re searching for a game changing recipe that will make you look like an iron chef, you have to try this staple vegan Beer Battered Mushroom Burger with Beer Cheese! Beer Cheese: Combine everything in a blender and puree until smooth. Add additional spices if desired! Shiitake bacon: Shiitake bacon: coat sliced shiitakes in all of the ingredients, let soak for an hour or longer, bake on 250 for 45mins, rotate after 25 minutes to ensure crispy shiitakes! Preheat oven to 450 degrees. Remove the core to the mushrooms. Combine almond milk, beer, flour, garlic powder, pepper and olive oil in a large bowl. Create a separate bowl with the Panko. Dip the pieces in the batter (let any excess drip off), then coat in Panko, place on a foil lined pan and bake 15 minutes. Remove from heat, top with avocado, shiitake bacon, lettuce and beer cheese, enjoy!